When I grew up in the eighties the sectional was almost always the sofa that graced the playroom or messy TV room in the basement. This was the case in my house and certainly all of my friends’. A big messy couch that constantly separated and ‘made’ us lose our Gameboys in between the various sofa pieces. 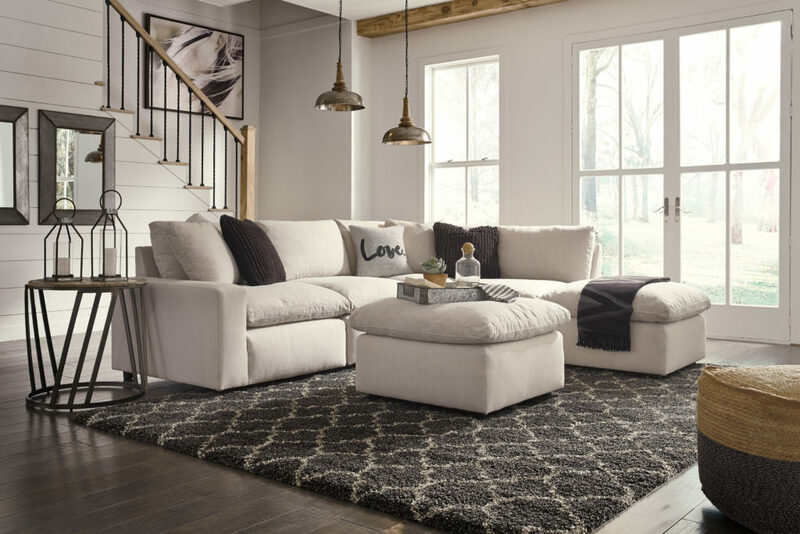 Now a full-fledged grown-up and furnishing my own home I’ve come to realize the sectionals of the past are no longer and today’s sectionals give you so many reasons to love them. 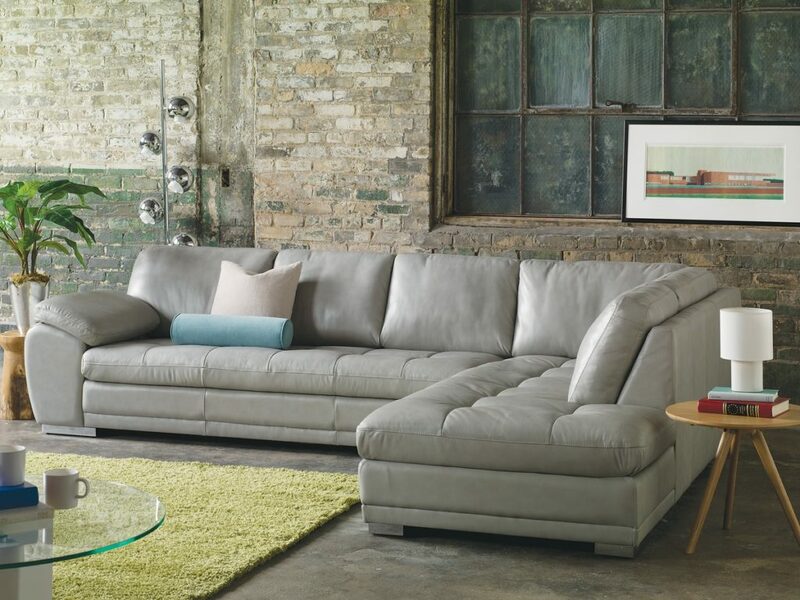 With simple attachments to keep today’s sectionals as one, there are so many reasons to consider a sectional as your sofa of choice, here are my top three. Are you a mid-century modern fan? Do you prefer deep and luxurious? Do you have a tiny space or a massive one? 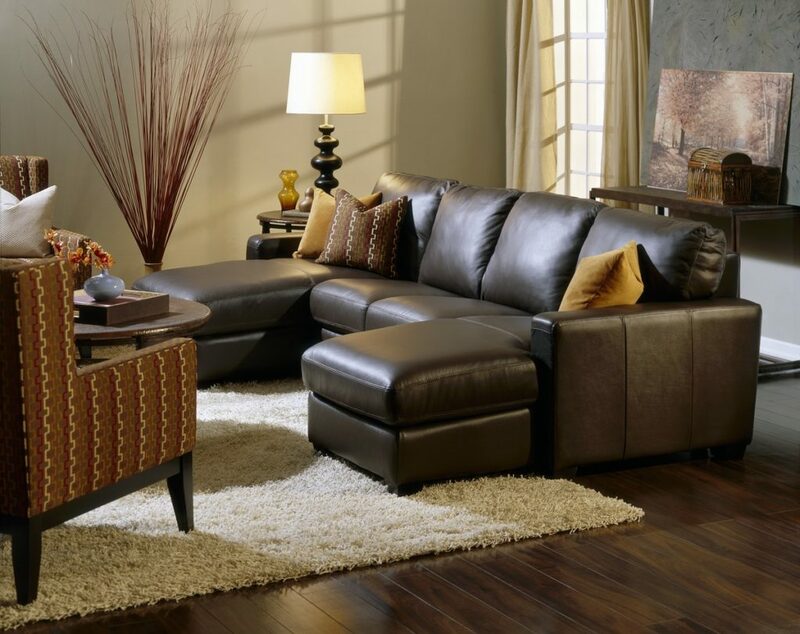 The real beauty of sectionals is there is a configuration for every possible style or space. 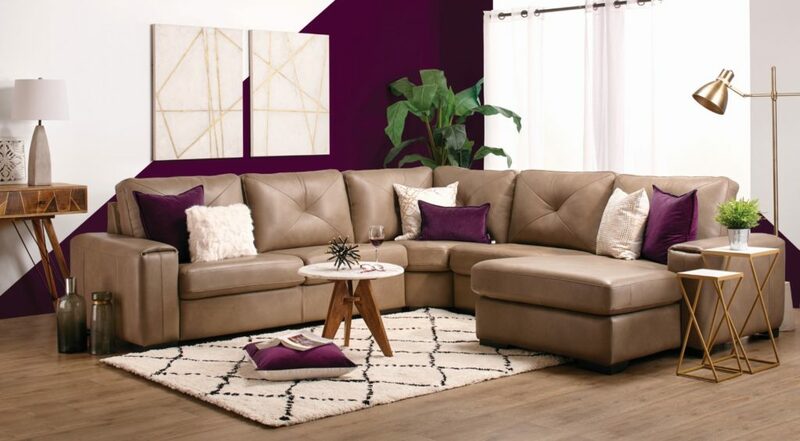 You can go for a classic look or a super modern look, you can have a soft velvet fabric or a rugged leather, the options are literally endless with sectionals. 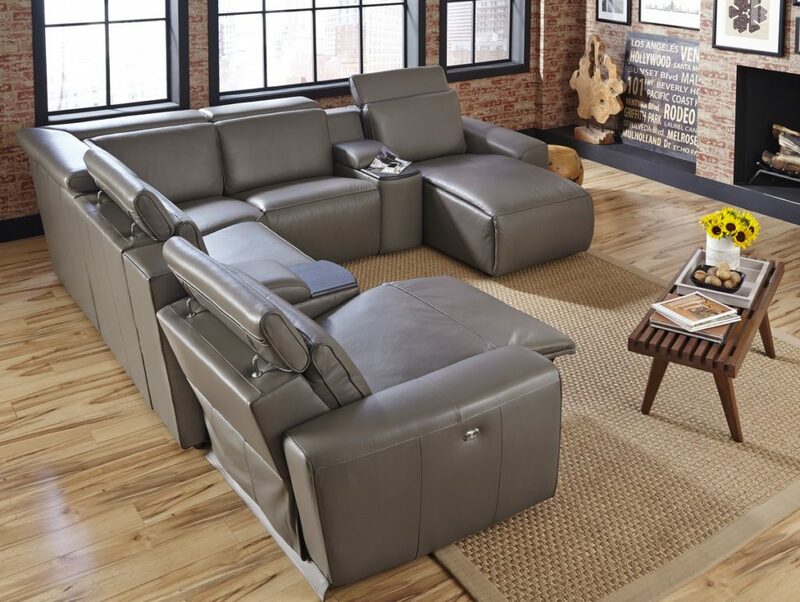 A sectional with features like cup holders, storage in ottomans, power and manual reclining, is like a gift within a gift. Not only can you get all the various features of a sofa you want, but you can get features on the features. I like to lounge on one side, husband reclines on the other, and the dogs can snuggle in the middle. I’ve got magazines stored in the ottoman and unless you could fit a maid in there too, I feel like life is pretty good. 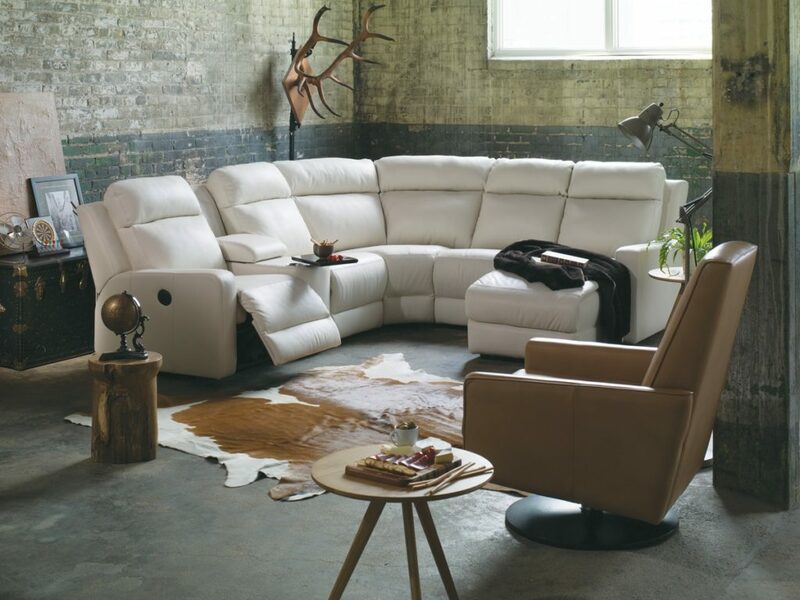 Because sectionals are a series of components meeting your individual style needs, it also makes them very easy to transport. No Friends couch moving scene screaming PIVOT here my friends, nope – moving sectionals from room to room or house-to-house is super easy. This also means you can re-jig or rethink your sectional based on the room or house. A sectional we moved from our family room up to our cottage recently had one small section removed to make it work perfectly for the space. We didn’t need a whole new couch, but it almost feels like we got one! Are you ready to love sectionals too? 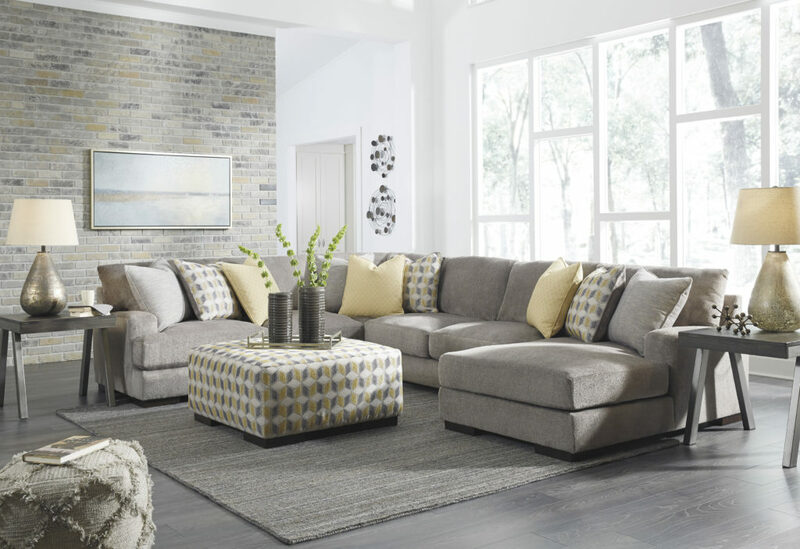 Visit your local BrandSource store today to sit down on our selection of sectionals and see what it’s all about.